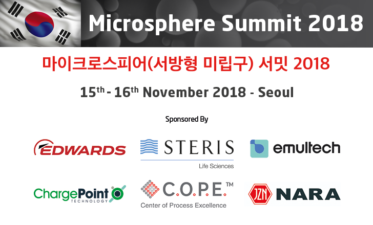 With less than a week to go preparations are well underway for this year’s exclusive Microsphere Summit which is being held at the impressive Shilla hotel in Seoul. Join us on Thursday 15th & Friday 16th November and be a part of South Korea’s growing pharma-economy! Lucas(Yeong Sil) Lee, Senior Applications Manager from Edwards. With limited spaces left, don’t forget to register! Posted on jeudi, novembre 8th, 2018 at 4:02 in Events, Latest News.